If you are the proud owner of a Windows Mixed Reality headset, do we have some good news for you. Valve has announced that you can now use the virtual reality headsets to play VR games in Steam. What’s even better news is that at the moment, the software that is needed is being provided totally free as an Early Access preview. “Windows Mixed Reality for SteamVR is currently targeted at consumers who want to be first to try out their Steam titles on Windows Mixed Reality. There are some known performance and experience issues that we are actively addressing. Early feedback will help spot new issues with a breadth of content." If you’d rather not be involved in the testing, or you haven’t yet got your Mixed Reality headset, don’t worry, Valve has stated that the software will remain free once it launches properly. 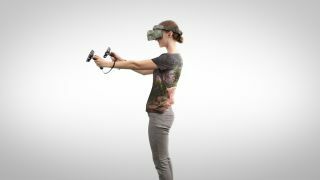 Given the vast quantities of Windows Mixed Reality headsets hitting the market at the moment, it will be interesting to see the effect that this integration has on the amount of users taking up VR gaming.